Toyon is a California native that grows in coastal regions and in Sierra Nevada foothills. 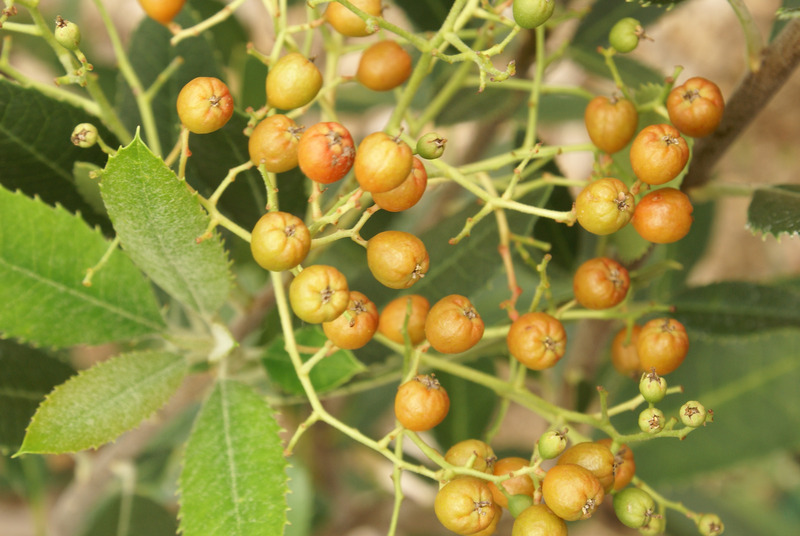 It forms a dense shrub to 6-10 feet tall and wide, or a multi-stemmed tree (with training) to 15-25 feet tall. 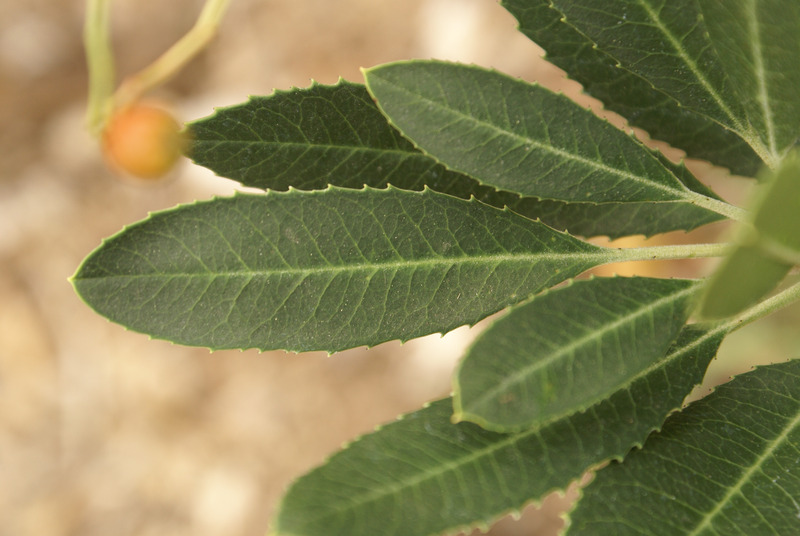 The foliage is composed of thick leathery dark-green leaves with sharp-toothed edges. 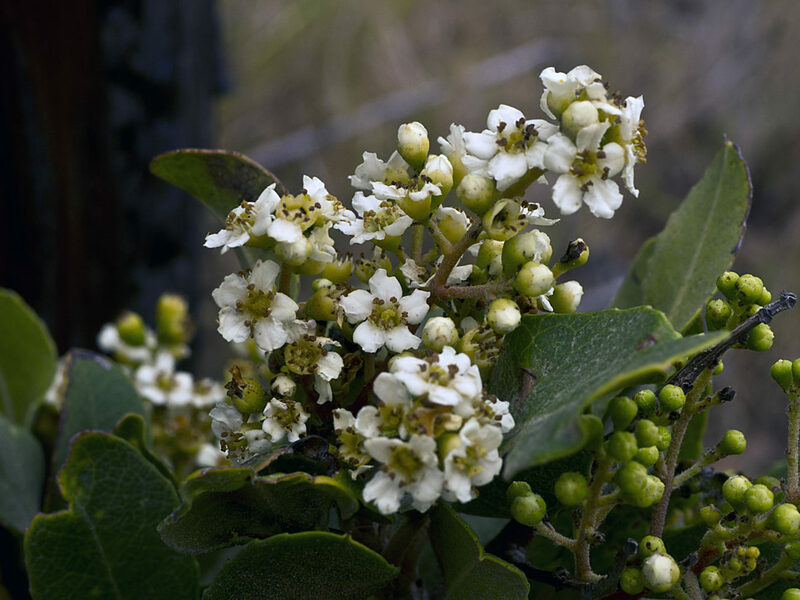 In the summer, clusters of small white flowers form that turn into clusters of bright red berries in the fall and winter. 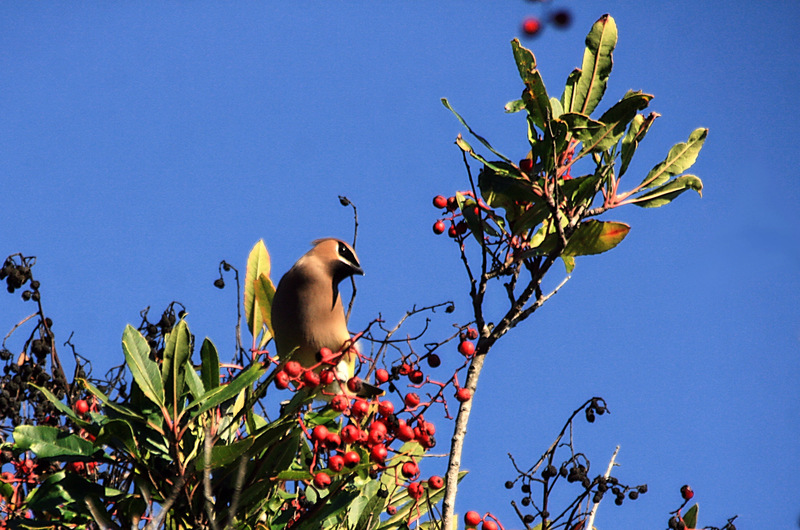 The berries attract birds as well as providing a bright feature to gardens in the winter. 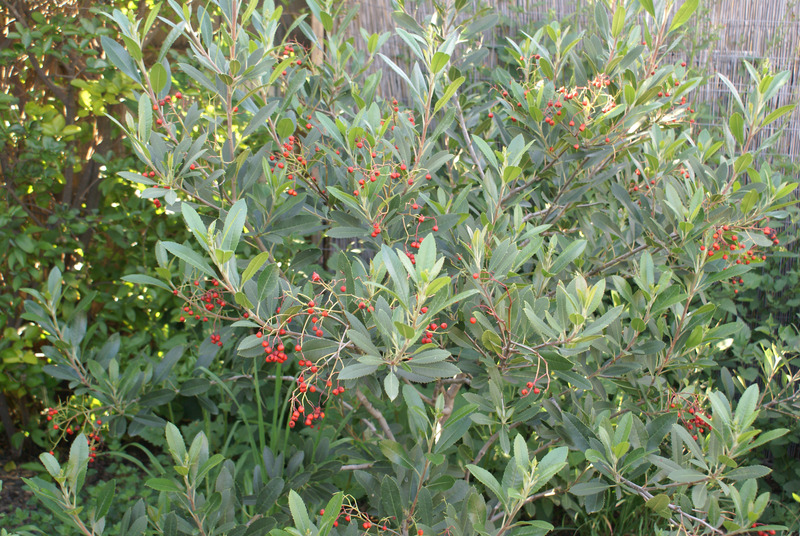 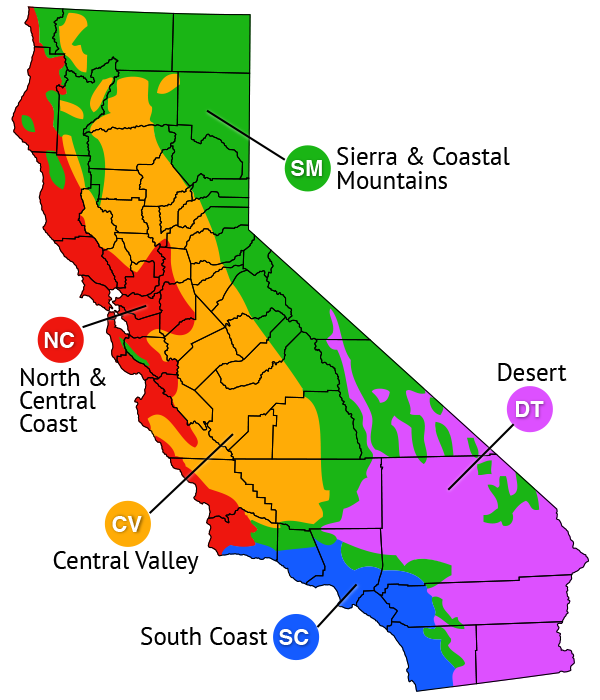 Toyon tolerates drought conditions but looks better if watered regularly. 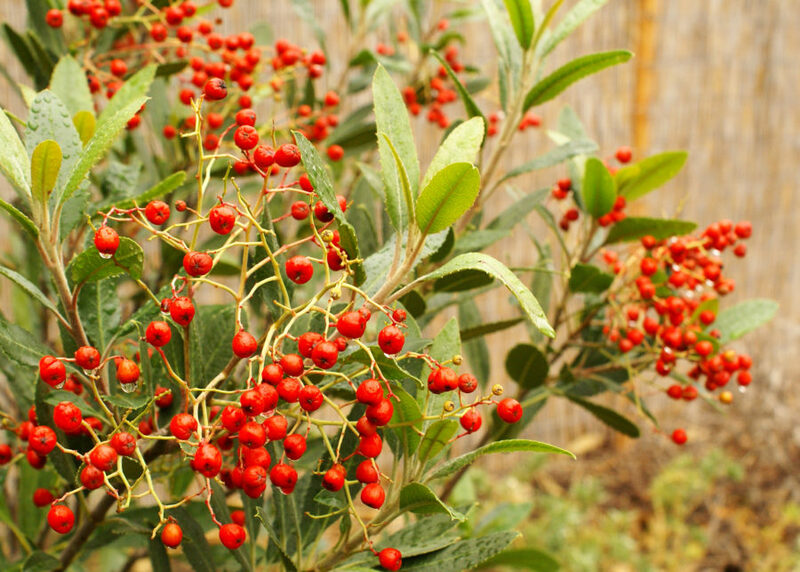 Berry production also improves with annual trimming or pruning. 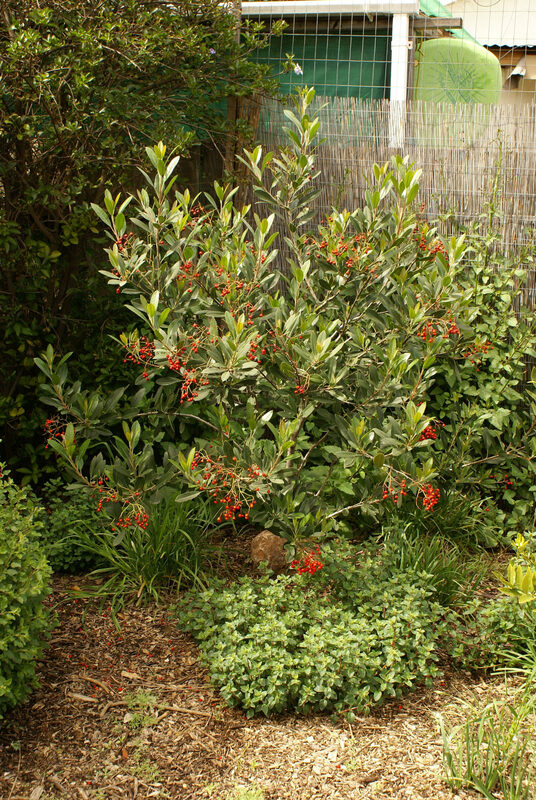 The plant's dense growth habit makes it an excellent screen. 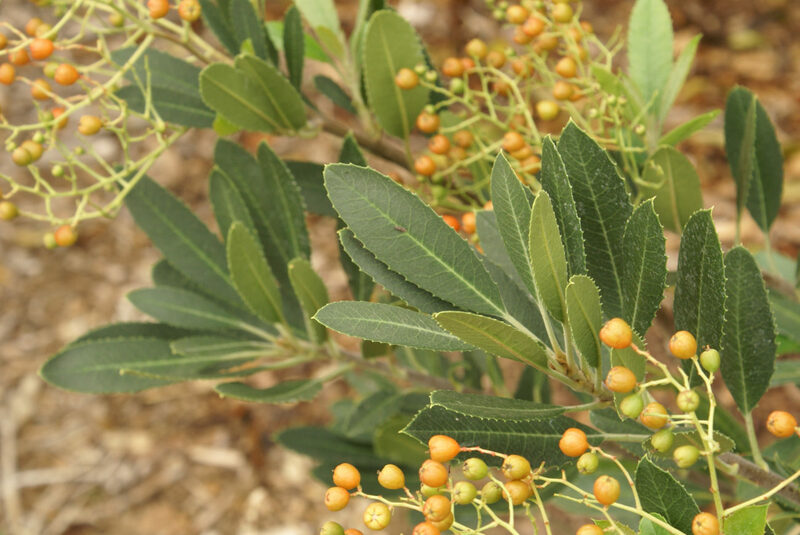 Toyon is a prominent component of the coastal sage scrub plant community, and is a part of chaparral and mixed oak woodland habitats. 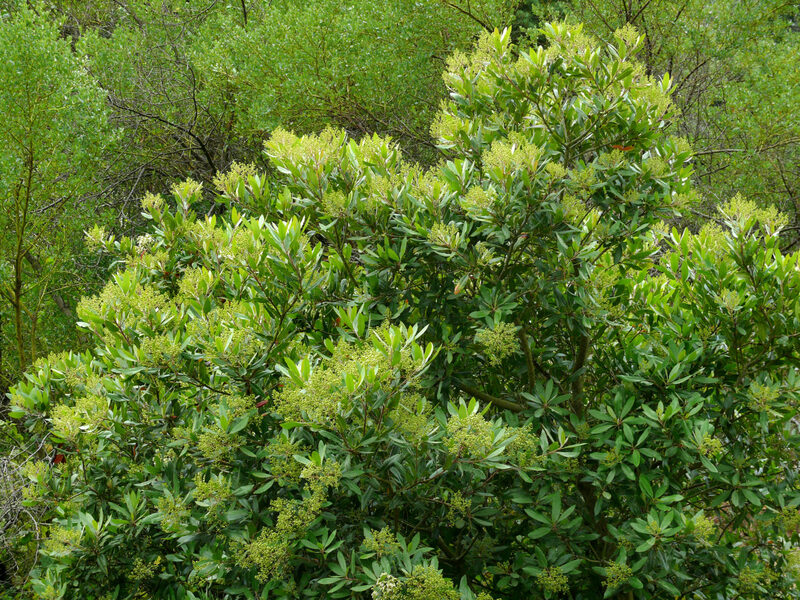 The flowers are visited by butterflies. 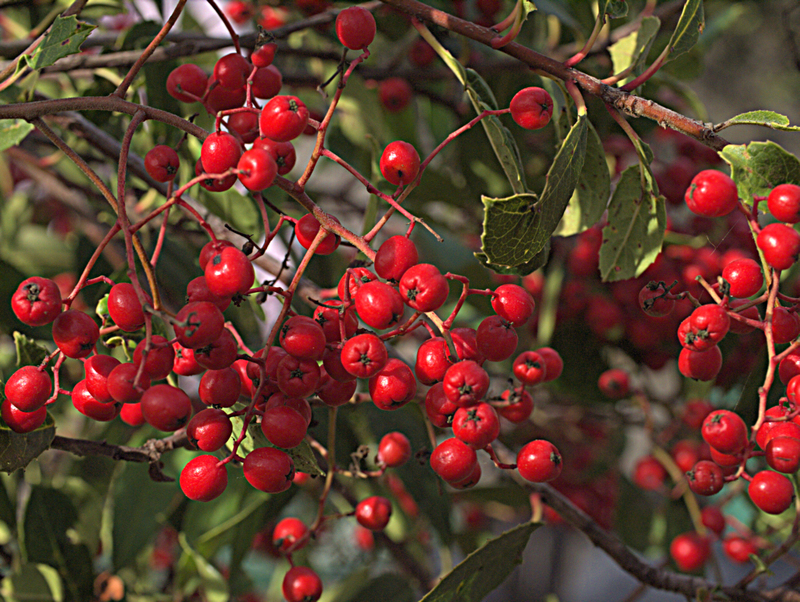 The fruit is consumed by birds including mockingbirds, American robins, cedar waxwings.